The twitch interpolation technique is commonly employed to assess the completeness of skeletal muscle activation during voluntary contractions. Early applications of twitch interpolation suggested that healthy human subjects could fully activate most of the skeletal muscles to which the technique had been applied. More recently, however, highly sensitive twitch interpolation has revealed that even healthy adults routinely fail to fully activate a number of skeletal muscles despite apparently maximal effort. Unfortunately, some disagreement exists as to how the results of twitch interpolation should be employed to quantify voluntary activation. The negative linear relationship between evoked twitch force and voluntary force that has been observed by some researchers implies that voluntary activation can be quantified by scaling a single interpolated twitch to a control twitch evoked in relaxed muscle. Observations of non-linear evoked-voluntary force relationships have lead to the suggestion that the single interpolated twitch ratio can not accurately estimate voluntary activation. Instead, it has been proposed that muscle activation is better determined by extrapolating the relationship between evoked and voluntary force to provide an estimate of true maximum force. However, criticism of the single interpolated twitch ratio typically fails to take into account the reasons for the non-linearity of the evoked-voluntary force relationship. When these reasons are examined, it appears that most are even more challenging to the validity of extrapolation than they are to the linear equation. Furthermore, several factors that contribute to the observed non-linearity can be minimised or even eliminated with appropriate experimental technique. The detection of small activation deficits requires high resolution measurement of force and careful consideration of numerous experimental details such as the site of stimulation, stimulation intensity and the number of interpolated stimuli. 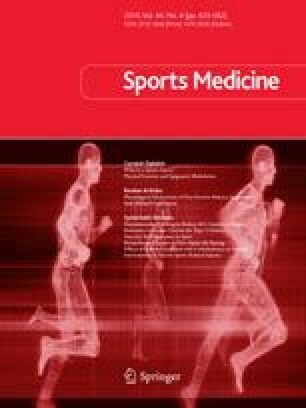 Sensitive twitch interpolation techniques have revealed small to moderate deficits in voluntary activation during brief maximal efforts and progressively increasing activation deficits (central fatigue) during exhausting exercise. A small number of recent studies suggest that resistance training may result in improved voluntary activation of the quadriceps femoris and ankle plantarflexor muscles but not the biceps brachii. A significantly larger body of evidence indicates that voluntary activation declines as a consequence of bed-rest, joint injury and joint degeneration. Twitch interpolation has also been employed to study the mechanisms by which caffeine and pseudoephedrine enhance exercise performance. This work was supported by the Internal Research Grants of Southern Cross University. The authors have no conflicts of interest that are directly relevant to the content of this review.